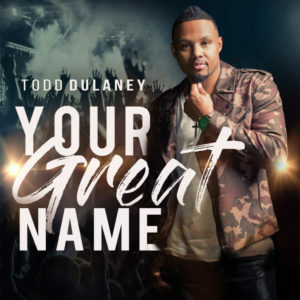 Todd Dulaney was nervous the evening of his live recording at Calvary Church of Naperville, Illinois, that produced Your Great Name. He had been struggling with an illness that was threatening his voice. He kept on praying, he told the audience, that this, too, shall pass. It did pass. Dulaney suddenly and dramatically retained the full range of his voice. He went on to finish the recorded worship experience. Like all worship experiences, the whole is greater than the sum of its parts, and that’s mostly the case on Your Great Name. My qualifier makes room for a few songs that stand on their own. Two of them are particularly notable. Eschewing the album’s theme of vertical praise, “Pulling Me Through” finds Dulaney crediting Jesus for not just bringing him through put pulling him through life’s challenges. “Father Be Pleased,” Dulaney’s marvelous duet with kindred musical spirit Nicole C. Mullen, is a humble wish for the Father to be proud of his children. Dulaney works within the multicultural P&W milieu—a soulful Hillsong—popularized by his fellow Chicagoland native sons VaShawn Mitchell and Jonathan McReynolds. For Your Great Name, co-producers Dulaney and Dontaniel Jamel Kimbrough, along with a battery of musicians and singers, establish an ideal tone for eliciting corporate worship. 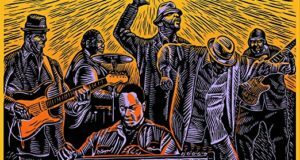 They intentionally keep the melodies consistent and sustain a dramatic thrumming throughout so the mood can rise and fall as the spirit leads. The hypnotic “Pour Me Out” and the title track are ideal examples of this technique, with the latter even supporting a drone note like traditional Irish music. 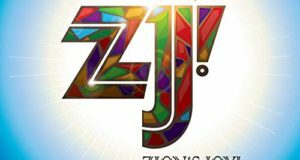 A couple of other noteworthy songs: guest soloist Shana Wilson-Williams delivers a passionate lead on the uncomplicated “King of Glory.” “Sanctuary” is as simple as a Shaker hymn. Overall, Todd Dulaney outdoes himself on Your Great Name. 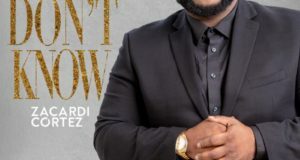 He proves he is not only a singer and songwriter but a bona fide worship leader whose warmth and enthusiasm shine through on every song, be it humble ballad or exuberant praise workout.